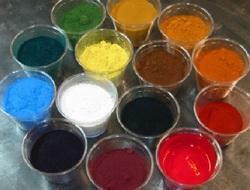 Pigment Paste is used in Plastic Industries, Textile Industries, Leather industries and Paper Industries. We chemi international based in india are offering frp/polyester pigment paste. Factory is located 120 kms away from mumbai in palghar, maharashtra. 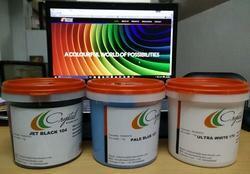 We are the prominent company that is engaged in providing high quality range of White Pigment Paste. We able to supply FRP Pigments as per your requirement shades & required quantity. We are a unique entity in the industry, actively committed to providing an optimum quality FRP Pigment Paste. Our company has achieved widespread recognition for providing FRP Pigment Paste to the clients.